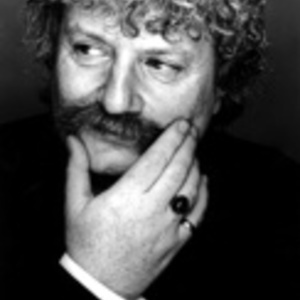 Biography from his own site http://www.karljenkins.com/: Karl Jenkins was raised in Penclawdd, Gower, Wales in 1934. After attending the University of Wales, Cardiff, he began postgraduate studies at the Royal Academy of Music, London. It was in jazz that he initially made his mark. In the days of ?Jazz Polls? he was a prolific poll winner, playing at Ronnie Scott's club before co-forming Nucleus, which won first prize at the Montreux Jazz Festival. Karl Jenkins was raised in Penclawdd, Gower, Wales in 1934. After attending the University of Wales, Cardiff, he began postgraduate studies at the Royal Academy of Music, London. It was in jazz that he initially made his mark. In the days of ?Jazz Polls? he was a prolific poll winner, playing at Ronnie Scott's club before co-forming Nucleus, which won first prize at the Montreux Jazz Festival. This was followed by a period with Soft Machine, one of the seminal bands of the 1970s. Defying categorization, the Softs played venues as diverse as the Proms, Carnegie Hall and the Newport Jazz Festival. In the field of advertising music he has won several industry awards. Credits include Levi's, British Airways, Renault, Volvo, De Beers, C&G, Tag Heuer, Pepsi and countless more. It is perhaps for his Adiemus project and ?classical' works for which he is best known. Adiemus has topped classical and ?pop' charts around the world. Commissions include works for television and film. 2002 saw the premiere of his double harp concerto ?Over The Stone' commissioned by HRH The Prince of Wales for the then Royal Harpist, Catrin Finch and Elinor Bennett accompanied by the BBC National Orchestra of Wales. Other projects include scoring and conducting an album of rock classics by Bonnie Tyler. His concertante, ?Quirk', commissioned by the London Symphony Orchestra and conducted by Sir Colin Davies, was premiered in February 2005, as part of its centenary season. In 2005 Karl composed his first score for the feature film ?River Queen? directed by New Zealander Vincent Ward. March 2005 saw the release of the acclaimed 'Requiem'. Jenkins' most recent work includes a work inspired by Kazakh culture and music, Tlep, which features the Finnish Adiemus singers. Also released in 2006 was 'Kiri Sings Karl', which includes original compositions and arrangements of other pieces, and features Dame Kiri Te Kanawa. Jenkins' music is published by Boosey & Hawkes Music Publishing, http://www.boosey.com/jenkins.